If you’re just getting started with essential oils, welcome to the club! It’s a fun one to be in, and it’s not that exclusive. 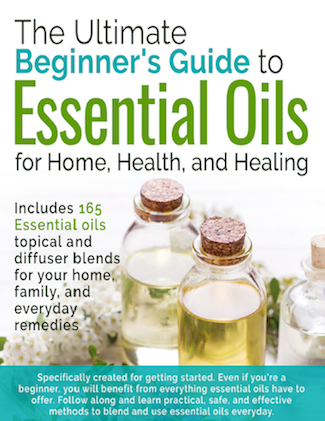 We want to open it up to anyone and everyone, so we’re featuring a series of posts to help you learn more about the benefits and uses of essential oils, teaching you what exactly an essential oil is, and which oils are important for getting started. There’s a wide variety of oils out there ranging in price and quality, but you don’t need them all. It might be a little overwhelming to make the choices initially, but here are our 10 must-have essential oils for your starter kit. These oils are versatile, easy to use, smell great, and provide tons of benefits for health and home. Tea tree oil is one of the most versatile and best smelling oils out there. It’s used in many natural beauty products, incense, and candles. It’s also a good addition to other essential oils, and it blends seamlessly. If you’re just starting out, tea tree oil is a necessity. It will afford you plenty of creative freedom with infusions and essential oil potential. Fair warning: it’s fairly strong. If you apply it directly to skin, make sure to dilute it with some water or mix it into olive oil or coconut oil. Tea tree oil can be used to treat acne, soothe dry skin, and for household cleaning. Its antimicrobial properties make it a good addition to natural multi-purpose cleaners, and it can even kill mould. Lavender oil is one of the most common essential oils, and it’s known as a natural sleep aid. It’s a relaxing essential oil and has stress-relief benefits. Tuck a bottle away in your beside table. One of the best ways to use lavender oil is to drop some into a diffuser before bed to flood the room with its comforting aroma. It also works the nervous system, so lavender oil can be a good mid-day anxiety reliever. Finally, it can be used as a muscle relaxer. Simply blend some with coconut oil and rub it on sore areas of the body for all natural, non-drowsy relief. Lemon oil is undoubtedly adaptable and popular for good reason. It’s quite invigorating and has tons of household uses too. Think of all the lemon-scented and lemon-flavored products you regularly use, and you can likely make you own with lemon essential oils. It’s by far one of the best essential oils to use in baked goods or savory dishes that include fresh lemon if you use food-grade essential oils. It’s also useful to boosting the immune system. Citrus is a common source of vitamin C which we all know is great for fighting colds. It also keeps the immune system strong by stimulating white blood cells. Finally, it’s a natural disinfectant and wood polish, so you can clean your entire home with it. Peppermint oil refreshing and energizing, so it’s great for a morning pick-me-up. It’s versatile, too. It makes a pleasantly zingy addition to soaps, so it’s a good addition to the bathroom, homemade soaps, and face masks. Use it when your energy begins to dwindle in the afternoons by dabbing some peppermint oil around the ears. Peppermint oil is also soothing for a variety of ailments. For a stuffy nose, spread some beneath and around the nostrils. For a headache, rub a drop or two on the temples and massage it in. Other uses include homemade toothpaste or breath freshener, mixing peppermint oil with coconut oil for a soothing achy muscle rub, and deterring insects or mice by swabbing the oil in problem areas. Cinnamon bark oil is another good essential oil to use in the kitchen in place of fresh cinnamon. Because essential oils are so strong, you can get away with using very little to inject flavor into something. Cinnamon bark is particularly useful for respiratory problems including chronic bronchitis. As soon as you feel a cough coming on, grab this oil to alleviate symptoms. It works essentially as a powerful anti-inflammatory agent. For the best results, inhale through a diffuser so the positive effects and benefits can work quickly. It also promotes good circulation when used internally or externally, helping the blood flow efficiently. This is another strong oil, so make sure to dilute before use. For internal use, you can add 1-2 drops to a veggie capsule with water/oil for supplementation. Here we have another essential oil with an endless variety of applications. It’s a fabulous therapeutic oil, and it smells wonderful. It makes a good candidate for some aromatherapy and stress-relief. Unlike many essential oils, you probably don’t recognize what plant it comes from! Frankincense oil is derived from the resin of the Boswellia carterii or Boswellia sacara tree, commonly grown in Somalia. This oil is a powerhouse for keeping the skin healthy. You can use it as part of a DIY anti-aging face serum by mixing it with some jojoba oil which increases its absorption as a topical treatment. It’s antibacterial and antiseptic properties make it cleansing for the skin, too. It can help clear up cuts and acne, and even reduce the appearance of stretch marks. Consider this your one-stop-shop for a safe and non-toxic beauty routine. Rosemary oil takes everything you adore about this beloved herb and makes it easy to use around the house. And yes – if you purchase a food-grade oil, it can be used in place of the herb! This is a great oil to keep handy in the kitchen for savory meals when you don’t have fresh herbs handy. It steps up the flavor a bit better than dried herbs. It’s also a pretty standard addition to skincare products because of its fresh smell, so you can easily add it to your DIY creations. Beyond its topical benefits, it can increase the shelf life of a product so adding it to beauty items or food items is a good idea for natural preservation. It’s a natural stress-reliever, so you can expect decreased levels of cortisol with a little diffusion in addition to increased brain wave activity. For a relaxing and focused environment, let the room fill up with its woody and forest-like aroma. Wild orange oil is another favorite of the citrus oils, lending itself to everything from cleaning the house to baking. Just catching a whiff of sweet citrus is bound to brighten your mood, so it makes a lovely addition to any infusion on it’s own or in conjunction with other oils. It helps the endocrine and exocrine glands produce hormones and enzymes keeping hormonal health in tip-top shape and stimulating healthy digestion. It’s also a mild aphrodisiac, so it’s a great bedroom diffusion to keep libido high while reducing stress and anxiety. Lastly, it has a grease-cutting effect, so it can be used in DIY skin products mainly targeted for oily skin. We know fresh ginger is a great digestive supplement and anti-inflammatory food, making it fabulous for teas, baked goodies, and snacks – especially when you have an upset belly. Unsurprisingly, ginger oil has many of those same benefits. The oil is actually its most powerful and potent form as it contains an abundance of those compounds that make ginger so good for the gut. It’s great for treating nausea, indigestion, diarrhea, and spasms – move over, Pepto Bismol! It can also help ease symptoms of asthma and bronchitis, amongst other respiratory issues. Ginger oil is a must-have for the medicine cabinet. Finally, it’s anti-inflammatory which can help with anything from aches and pains to leaky gut. Myrrh oil is one of the pricier oils, but if you can swing the splurge, it’s worth it. In biblical times, it was used as a natural remedy and a spice. It was even used to purify the dead! You might notice it looks a lot like Frankincense which is right; the two are related. Myrrh comes from a tree that grows in the desert and has a slightly sweet and slightly smoky smell to it. It’s an antioxidant, has anti-cancer benefits, and it’s anti-parasitic, known to help decease infection symptoms. It’s also good for dry skin, so it makes a soothing remedy for cracked lips. The Ancient Egyptians were thought to use myrrh for healthy skin and anti-aging benefits. What do you think? Do you have any you would add to the list? Let us know what your essential oils starter kit looks like, and share this with someone who needs the power of these amazing healers! Click here to share this post on Pinterest.